Interested in working with us, but would like to know more? Find out exactly how we can accelerate your credit repair results with our unique 5 steps system. Okay, so you recognized that we are an excellent choice and would like to sign up. Now we need to pick one of the four awesome plans that would be most suitable for your needs and actual goals for improving your credit. We offer some affordable but powerful results driven plans that can turbo charge your results. We’ll recommend a plan based on your credit report, your goals and exact needs. Ultimately you make the final decision whether or not you’d like to go with what we recommend or make a choice of your own. After you sign up, you’ll need to provide us with the following things..
A copy of your social security card or passport. This is required by the credit bureaus. Please forward all requested documents to support@leadcreditsolutions.com. A trained professional with more than 25 years of experience finding errors and getting them removed, will review your credit report, prep your disputes and setup your online account so you can track your results 24/7. 79% of all credit reports contain errors that qualify to be updated and removed from credit reports. When your credit report is examined by our dispute department we’ll use our expert knowledge of consumer law to force the credit bureaus to remove all inaccurate, outdated and unverifiable accounts from your credit report. Within 72 hours after you sign up, your disputes are prepped and ready to go out the credit reporting agencies. During this time, some amazing things will be happening behind the scenes, on your behalf. 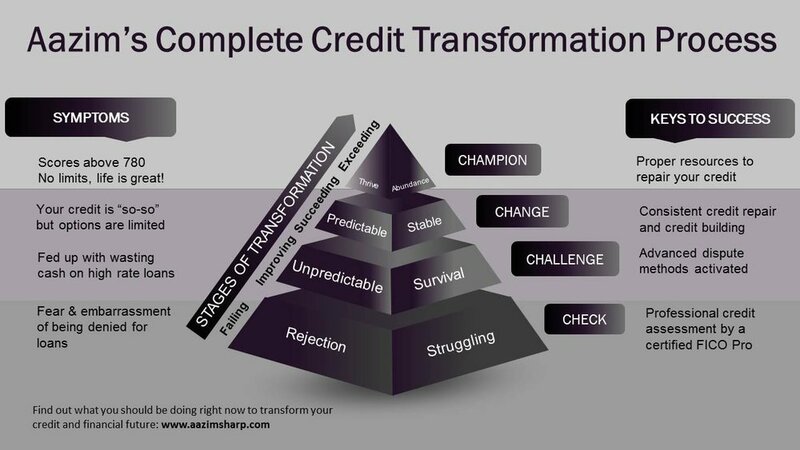 People on our team, with years of experience getting thousands of accounts removed, will be working to transform your credit into something you’ll be proud of. We’ll also guide and assist you in Building or Re-establishing Credit. Opening new credit accounts is an extremely crucial aspect of improving your score. Adding new credit is actually the fastest method of boosting a score. Most people think removing negative accounts is the way to see your score move quickly, but it’s not. The removal of negative inaccurate accounts is an important part of the process, but it’s not the only or most important. The typical life cycle of our clients credit repair range between 3-6 months. But on occasion I see clients who are completely done in two months or even less. We prefer to set realistic expectations and wow you afterwards. On average, clients we work with, see a 129 point credit score increase within 57 days. Those are averages, but there are cases when clients see a dramatic score increase of 200 or more points within 60 days or less. Cases like that are not the average, but it happens. Our statistics show that over a 6 month period an average of 79% of inaccurate, incomplete, outdated, and unverifiable negative accounts are removed. But there are occasions in which I see every negative account from a client’s credit report removed in just 90 days. But we’d much rather set realistic expectations and let you know that credit repair takes time and that it’s not an overnight process. Once you’ve completed our program and you’re in a better position with your credit, we’re not done. We’ll continue to provide you with helpful information, tools and resources to maintain your credit. Your not just another number, you’re part of a family who will continue to support you in every way we can.